China has an awesome consumer story. Yet lately you can’t pick up a newspaper, go online, or watch television without hearing continual moaning about the country’s slowing economic growth and the need for “rebalancing.” The reality is that Chinese consumers are going to continue to increase in wealth and complexity. And if you’re worried the country’s economic importance is declining, you’re probably looking at its performance the wrong way. As in most developing Asian economies, China’s early growth was based on savings, investment, and exports. You get your population to save, move to the cities, work in factories, and make stuff. This is sold, and cash is brought back home for investment. Plus, you get some foreign investment as well. This process enabled China to develop its infrastructure largely with its own cash. That, by the way, is not the norm. Developing economies typically borrow from foreigners and then default—for example, American states such as Mississippi and Florida were chronic defaulters on foreign debt as they initially developed. One of the downsides of this investment-first approach is that it makes consumption look small and often like it’s shrinking. Chinese consumption decreased from approximately 51 percent of gross domestic product in 1985 to 43 percent in 1995, 38 percent in 2005, and 34 percent in 2013. By comparison, consumption is around 61 percent in Japan and about 68 percent in the United States. In fact, China’s small and decreasing consumption percentage is one reason why people keep talking about “rebalancing”—the need for the economy to become driven more by consumer spending than investment and exports. Our position? Don’t worry about this stuff. First, from 2000 to 2010, the size of the Chinese economy more than doubled.1 So consumption grew from around $650 billion to almost $1.4 trillion. Regardless of its relative percentage of GDP, China’s consumption has been growing faster than just about any other country’s in absolute terms. Second, just getting consumer spending back to 43 percent of GDP, the level in 1995, would have a huge impact on “rebalancing.” It would also create the largest consumer market in the world. Third, most of these numbers are wildly inaccurate. Consumer spending is nearly impossible to measure in such a big, complicated economy. Combining a vague number with two other big vague numbers (investment and net exports) is very fuzzy math. Until economists start putting uncertainty estimates on their China calculations, relative percentages aren’t worth paying much attention to. The number you really want to keep in mind is household income. You can’t have consumption without income. And here’s where it gets really awesome. China’s household income is huge. It is now likely above $5 trillion a year. Plus, lots of income is unreported, so this is really the lower boundary for true household income. Developing economies—especially the BRIC nations of Brazil, Russia, India, and China—are frequently grouped together, but Chinese consumers dwarf all the others in terms of household income (Exhibit 1). Discretionary spending is buying the stuff you like but don’t need. Or you only sort of need. And, fortunately, people seem to have an endless appetite for everything from entertainment to skiing to caffe lattes. Chinese citizens are now moving beyond being able to only afford the basics of life, and their discretionary spending is taking off. Growth in spending on annual discretionary categories in China is forecast to exceed 7 percent between 2010 and 2020, and growth of 6 to 7 percent annually is expected in a second category of “seminecessities.” Both of these categories are growing faster than spending on actual necessities, which are expected to grow around 5 percent a year, about the same as expected GDP growth (Exhibit 2). Finally, an important related issue is the Chinese tradition of saving. If we compare spending and saving rates across the emerging markets, we see a spike in savings in China. That spike is fairly understandable. First, it’s cultural. Second, they are precautionary savings—no social safety net means if you get sick, it’s all on you. Third, Chinese savings are not unique. Japan, Korea, and Taiwan all hit 30-percent-plus savings rates in their early development. And fourth, without much of a consumer-finance system, it’s tough to use debt to hit truly spectacular consumption levels. After all, a vacation home or car may cost the equivalent of a year’s income. That’s our rant on China’s macro consumer situation. Basically, we believe it remains a great story. It may be volatile. It’s also somewhat unpredictable. But you just don’t get a consumer growth story this good anywhere else. 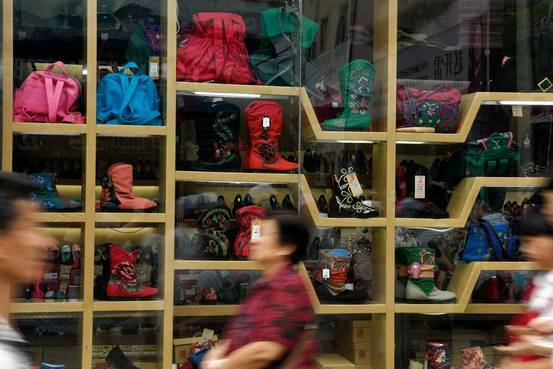 via Why China’s consumers will continue to surprise the world | McKinsey & Company.